The French language is unique and fascinating, and we wish we’d done a better job of mastering it in high school. Still, we’re obsessed with France and turn to the language to express ourselves on a regular basis (it’s got a certain je ne sais quoi), and we’d be lying if we said we didn’t sometimes dream of renaming ourselves Eloise and running into the sunset. The second-best option? Giving an adorable French name to your new dog. Seriously, go through this list of names and say each one aloud. We guarantee you can’t do it without cracking a smile — or finding at least 10 that you’d love to use for your own pup. Regardless of meaning, French words roll deliciously off your tongue and instantly make you feel more affectionate. 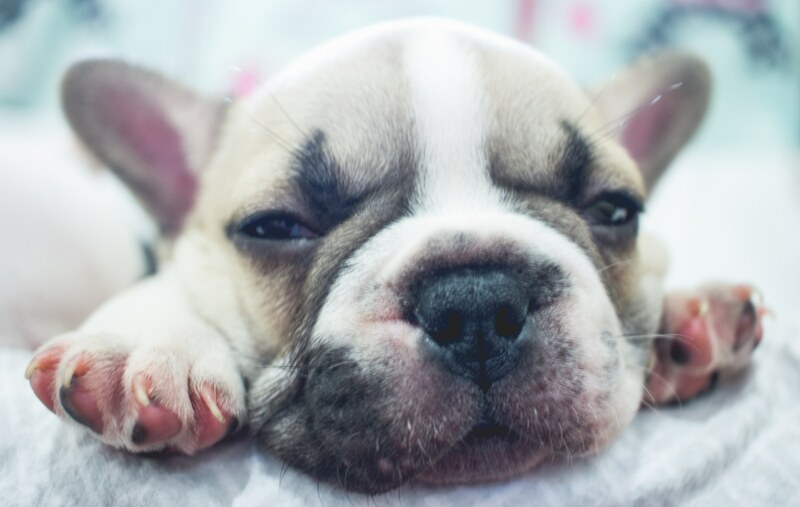 Name your love pup one of these French dog names, and you’re sure to get even more warm fuzzies for your favorite little fur-ball. If you are infatuated with French cuisine, give your pup a name that will warm your tummy (and make you hungry to visit the country). If you’ve traveled around France or have a dream vacation planned, consider a French dog name that reminds you of a fave landmark or geographical locale on your itinerary. Consider the following names of famous French people to give your new pup a cultured European moniker. Then have fun with it by quoting French movies or books to your furry French-named friend. A version of this article was originally published in June 2015.